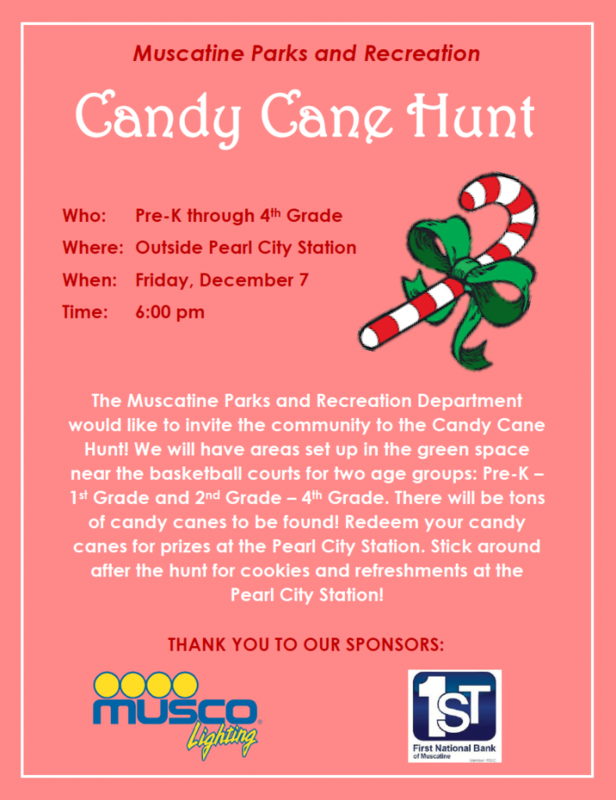 Description: The Muscatine Parks and Recreation Department would like to invite the community to the Candy Cane Hunt! We will have areas set up in the green space near the basketball courts for two age groups: Pre-K – 1st Grade and 2nd Grade – 4th Grade. There will be tons of candy canes to be found! Redeem your candy canes for prizes at the Pearl City Station. Stick around after the hunt for cookies and refreshments at the Pearl City Station!